Do you wish to bring that sporty look to your brand and campaign? Go and invest in these custom sport drawstring backpack. 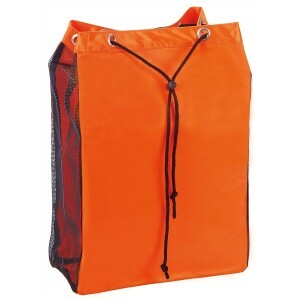 This backpack feature ventilated sides, which helps to store wet clothes and towels with ease, and the large open storage space with drawstring closure helps to store maximum things. 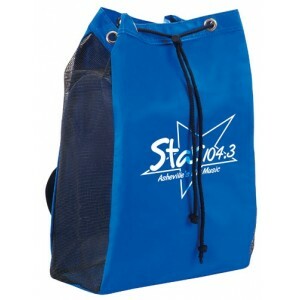 This backpack with its sturdy nylon and mesh construction offers long service and easy visibility to your brand information. Free shipping, art setup and online design proof can be availed on this order. 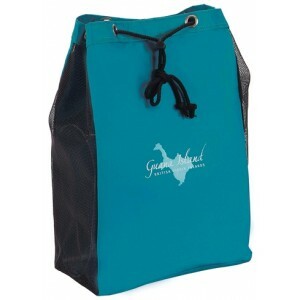 Request a quote to know discounts that you can expect on bulk ordering this custom sport drawstring backpack. Features- 70 denier nylon/rubber mesh. Adjustable shoulder strap. Drawstring closure. Item Size: 11" x 17" x 6". Imprint Size - 4"W x 3"H.
Product Size : 11" x 17" x 6"